Five pounds of all purpose flour. Three eggs. One teaspoon of baking soda and the juice of one quarter lemon, squeezed at the peak of freshness. Three sticks of butter. A basement kitchen safe from Immigrations and Customs Enforcement agents, with enough vegetable oil to feed a small army. Friday night, this was the recipe for the latest iteration of Sanctuary Kitchen, held at First and Summerfield United Methodist Church downtown. 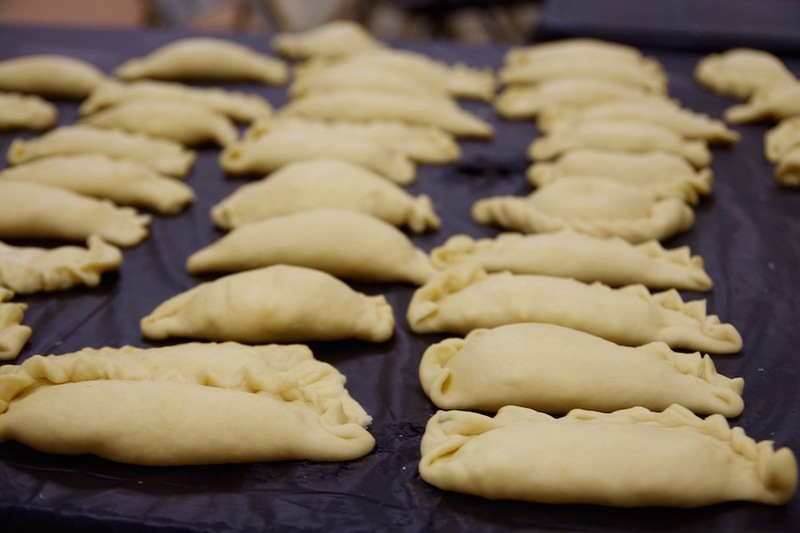 Over a two-and-a-half-hour session, participants learned to make cheese and apple empanadas with Fanny and Marco Reyes, Ecuadorian immigrants who came into the spotlight three months ago when Marco moved into the church to fight deportation orders. The event, which doubled as a fundraiser, brought in over $400 for the family. 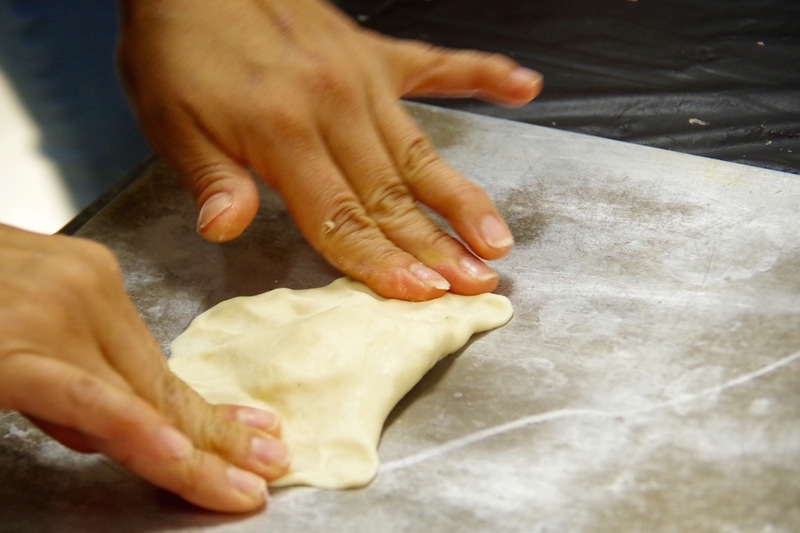 The timing fell around the city’s Día de los Muertos celebrations, for which Reyes made more empanadas on Saturday. Marco Reyes first came to the church the morning of August 8th, instead of heading to the airport for a one-way deportation back to Ecuador. 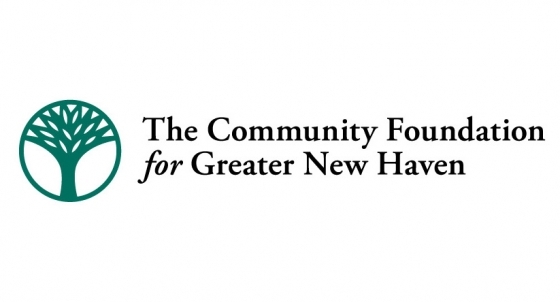 With Iglesia de Dios Pentecostal, Hamden Plains United Methodist Church, and Congregational Mishkan Israel, First and Summerfield is a sanctuary congregation, meaning it will house and support immigrants who flee ICE’s deportation orders under the current administration. With the support of Unidad Latina en Acción (ULA), there have already been several protests, vigils and fundraising events at the church; this is the most recent. “We’re hanging in there, but the situation is very hard,” Fanny said in an aside at the event. But Friday, Fanny didn’t want to talk about that. Not at length. She wanted to talk about her mother’s cheese empanadas, which she learned to make when she was 14 years old and still living in Ecuador. Served alongside a strong, sweetened cup of Guayusa tea, it’s still a taste that ties her immediately to home—and a recipe that has become fully her own in two decades in New Haven. The secret to the recipe, she said to a smattering of giggles and ooohs, is making enough for one’s entire extended family. That starts with five pounds of flour, enough for 170 empanadas. The rest is about practice and adaptability, she said, mixing ingredients as she spoke. It’s a sort of culinary ballet: simple white flour rubs up against butter, cream cheese, water, salt and eggs until it has transformed into something completely new, pliable but firm and a yolky light yellow in one’s hands. In New Haven, she’s had to change up her ingredients, subbing in cream cheese and butter for shortenings, feta and mozzarella for the sharp, salty cheese to which she was accustomed as a young adult. As she gave attendees her tips, daughters Adriana and Evelyn looked on with fascination, taking mental notes. Friday, Fanny mixed as she wove through the recipe, inviting attendees up to join in as they sat and nibbled chips, carrot sticks and fresh guacamole. Laughing, CitySeed Director Amelia Reese Masterson hopped over the bowl, working her hands through the dough until it had started to come together. When they emerged, dough hung from her fingers in clumps, a floury webbing between both hands. The room transformed into an assembly line. With Fanny, Adriana, Evelyn and his son Anthony around him, Marco looked down at a loaf-like ooze of dough on the table, and began to rock it back and forth. On both sides, attendees and family members together reached out to steady the baking sheet. Attendees Melinda Tuhus and Thea Cooper (pictured below) stepped toward the loaf, ready to try beating it into submission. The dough took on a sheen beneath the basement’s low lights. Further down the table, couple Esha and Kal Mistry mixed feta and mozzarella cheese for the filling. At the same table, ULA member Pablo Uribe and Charlotte Finegold peeled and chopped apples, getting some help from newfound friends. Fanny and Marco worked the dough into a long snake, tearing off chunks and forming them into balls. Rolling them out into thin, doughy disks, Fanny instructed the room on what is often the hardest part for empanada newcomers: pinching and folding the edges, a technique that seals the filling inside, and leaves the empanada looking like a seashell. Stuffing tens of them with cheese and cinnamon-flecked apples, she worked quickly, smiling politely as participants brought up their smush-edged and puttyesque creations. Cheese leaked from a few, white and almost foamy around the edges. “But that’s how you learn,” Fanny said, heading for the kitchen with plates upon plates of uncooked empanadas. There, oil had begun to heat up for the final step: frying the cheesy pockets before devouring them. The small kitchen filled with the sound of sizzling, and smell of frying cheese. Working methodically, Fanny and Marco manned operations at the stove, a few brave participants stepping in to drop, rotate, and lift the creations from hot oil baths as they turned out batches of the creations. They slipped into a familiar language of food, trading tongs for words, quick glances at oil and paper towels for directions to each other. Around the stove, their bodies moved with a familiar clockwork, Evelyn holding out a large container lined with paper towel for the fresh, dripping creations. As Fanny and Marco watched for puffing pastry exteriors, they dropped finished empanadas in with a plunk. As they stood to the side, speaking to each other for a moment, attendees tried their hands at watching the empanadas. The process, so seamless in the Reyes family's hands, took on some new characteristics: burning cheese, exploding pockets, and crisp, flat edges where the dough hadn't been pinched. None of that mattered to several hungry attendees, Sprinkled with sugar and served alongside steaming pitchers of Guayusa tea, 170 empanadas quickly became a small pile, with attendees taking some home in to-go bags. Before they left, some peppered Fanny with questions. At the end of the table, a group of friends wanted to know where to find the tea. Reyes laughed: Her mother sends the dried leaves from Ecuador whenever she can (customs does not allow the fresh leaves).